This text was prepared for the 2006 Health Physics Society Summer School, held at Brown University in Providence, RI. The objective is to provide practical, concise, and useful information to a health physicist working at a medical institution or looking to be employed by a medical institution. This field incorporates a broad spectrum of disciplines and technologies. 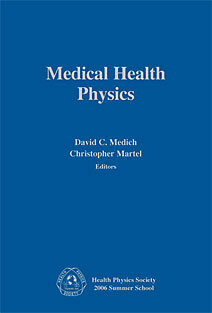 Comprehensive in scope, topics for this text were selected to focus on "everyday" aspects of medical health physics, its related technology, and on program structure and development. Beginning with a description of the regulatory foundation and structure of a radiation protection program at a medical institution and followed by a review of the methodology of patient dosimetry, subsequent chapters provide an in-depth review of common diagnostic and therapeutic modalities at a medical institution. In each of these chapters, the author includes an assessment of the health physics issues associated with each modality. The focus then changes to administrative and regulatory aspects of a regulatory program: these are followed by practical applications of these regulations. The text continues in focusing on managerial considerations, including an insightful look into medical program inspections through the eyes of a regulator and important information for developing a performance-based safety program review. The book wraps up with a discourse on the health effects of exposure to ionizing radiation, followed by a concluding chapter on the thoughts and experiences of running an effective medical health physics program.